Next to the massive, leisurely breakfasts so famous in Israel, mezze is the next best part of any meal. This array of little dips and spreads often clutter the table at restaurants that specialize in meat skewers, but they also show up in any number of places and are favorites to make at home. The dishes are an illustration of the diversity of Israeli cuisine, with roots in Morocco, Libya, Egypt, Lebanon, Syria, Jordan, and even Europe. Everyone has their own variations and ratio of spices. To read more about mezze check out my recent article on the subject for the Jewish Daily Forward’s food blog, The Jew and the Carrot. 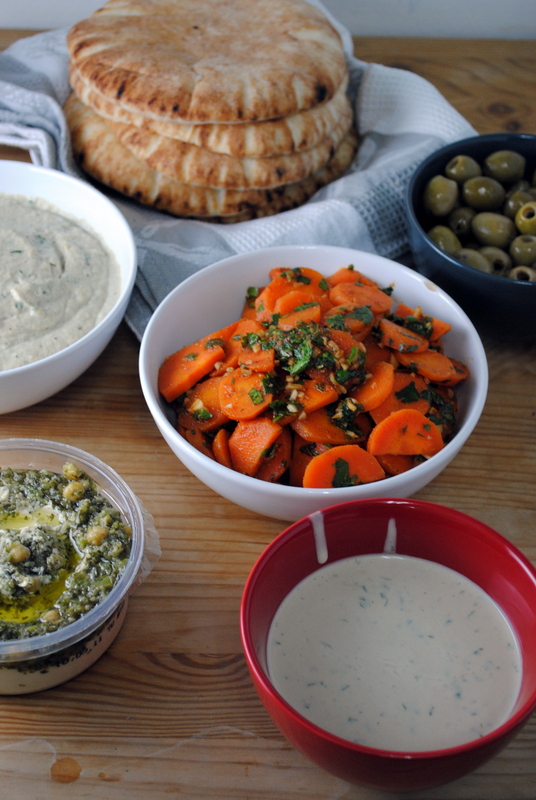 One of my favorite things about mezze – besides the fun of variety and communal sharing – is that it relies on a few basic ingredients, but with vastly different flavors. Mashed, fire-roasted eggplant is a popular base that is mixed with tahina, mayonnaise, or yogurt or creamy cheese (if serving a dairy meal). Tomatoes are served raw in an Israeli salad, pureed in a cold sauce-like dip, or served warm like a sauce. 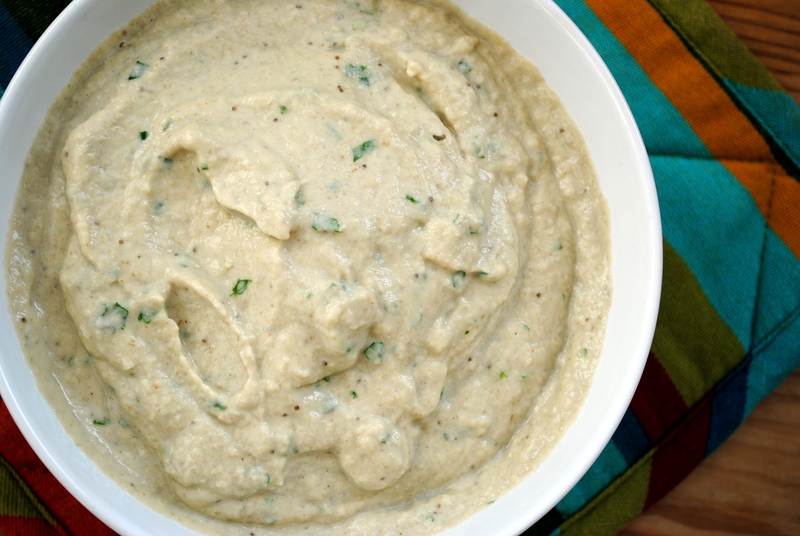 Tahina (sesame paste) shows up everywhere, as a basic dip flavored only with lemon and parsley or mixed into eggplant for baba ghanouj or chickpeas to make hummus. Cook the carrots in boiling water until just tender, about 10 minutes. 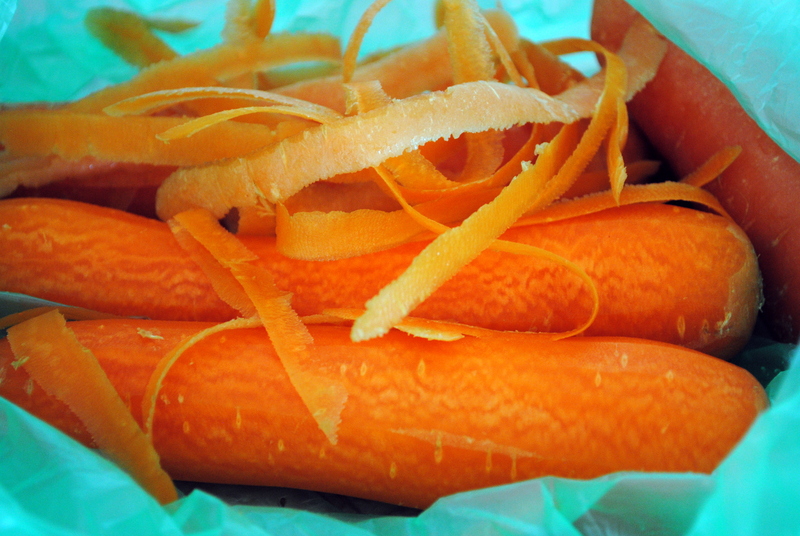 Drain the carrots and rinse under cold water. Slice on a bias into thin coin-shaped slices (or slice first and then boil, either way). 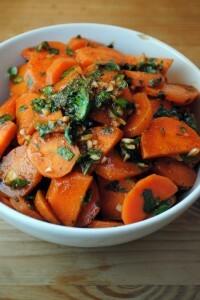 Mix together the garlic, chili powder, lemon juice, cumin, paprika, parsley, and harissa (if using) and toss with the sliced carrots. Season with salt. Let stand at room temperature or in the fridge at least 1 hour, or in the fridge up to 2 days (the carrots will only get more flavorful with time). Serve cold or at room temperature. 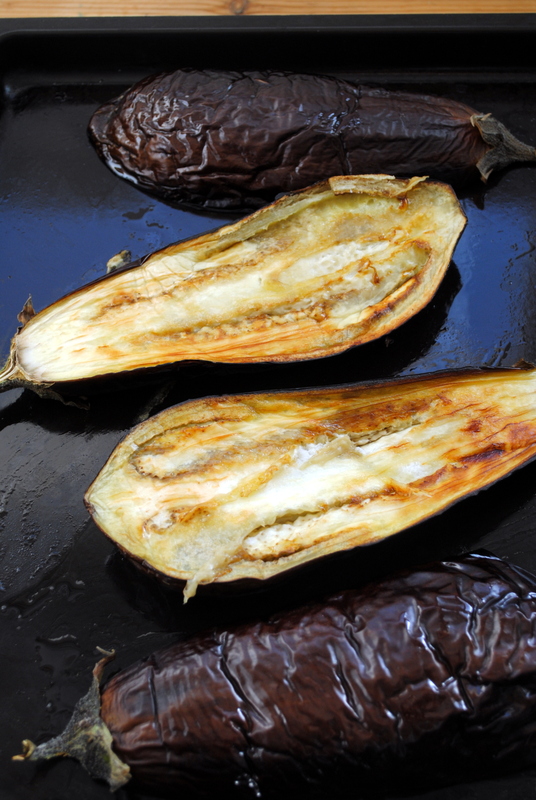 Prepare the eggplant: ideally the eggplant should be cooked directly over an open flame until charred. This can be done over an open flame on a gas stove or on a grill. For those of us who must rely on electric stoves or who don’t like open flames, the broiler is your next best option. 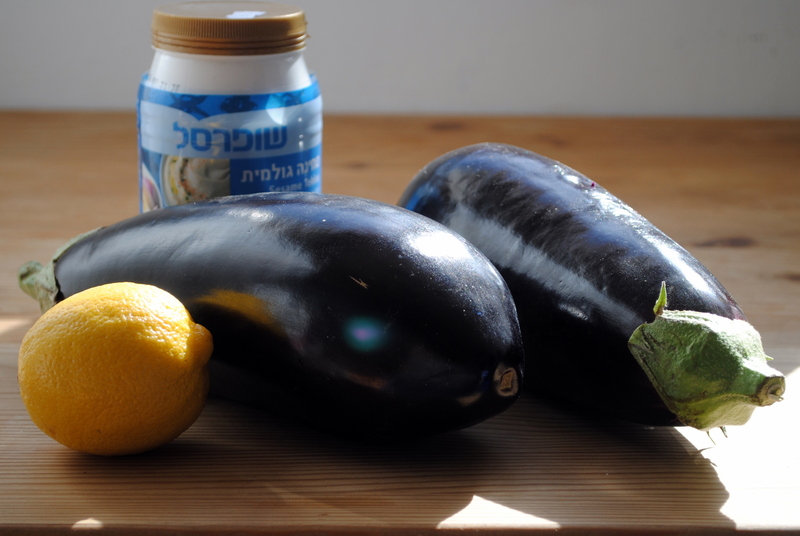 To cook in the broiler, cut the eggplants in half lengthwise, brush with olive oil, and lay face down on a baking sheet. Broil until charred. Remove the eggplant from the flame or broiler and allow to cool. Scoop out the pulp and blend in a food processor. Pulse or stir in the tehina, lemon juice, garlic and cilantro or parsley. Season with a dash of chili powder and salt. Serve warm or at room temperature. You can refrigerate overnight and bring to room temperature before serving. Whisk together the tahina, lemon juice, and garlic (you can also do this in a food processor, but a whisk is preferable). You will probably find that at this stage the tehina will become quite thick and dry (I did). 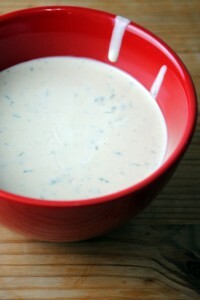 Stir in cold water a few drops at a time until the tahina dip is the consistency you want. Typically it is thin enough to drizzle but thick enough to dip. Pulse or stir in cilantro or parsley, if using. Season with salt to taste. Serve at room temperature. Entered in: Get Grillin’ with Family Fresh Cooking and Cookin’ Canuck, sponsored by Ile de France Cheese, Rösle, Emile Henry, Rouxbe and ManPans. Love the colors! This looks divine! Thanks for the tahina dip recipe–I love it with my falafel (which is on my list of to-makes this year!). I’ll definitely try this when I get some time to make the falafel! It is so good on falafel! In Israel they usually thin the tahina down a bit when drizzling it over falafel and serve it slightly thicker as a dip. Either way, it’s delicious! Oh! Me! Oh ! My ! So many delicious treats on one page. thought I live in Beijing, a handful of these recipes look completely do-able from a Chinese market-frequenter’s perspective. Thanks for this amazing resource. Thanks for stopping by! I’m sure you could make some amazing variations based on what you have available in Beijing. We try to have small plates of nibbles, spread and cooked and raw salads at least once a week. It’s my favorite kind of dinner ever and also very easy to put together. I’ll add tahina dip next time. Thanks for the inspiration! That sounds fabulous! Mezze is so often an appetizer but really is enough for a main meal. I’ll have to start doing that! Thanks!